Nothing has been the same since Caleb Becker left a party drunk, got behind the wheel, and hit Maggie Armstrong. Even after months of painful physical therapy, Maggie walks with a limp. 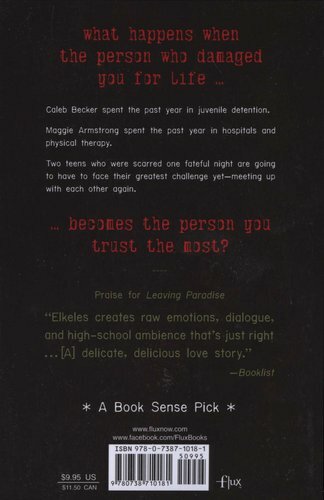 Her social life is nil and a scholarship to study abroad--her chance to escape everyone and their pitying stares--has been canceled.After a year in juvenile jail, Caleb's free . . . if freedom means endless nagging from a transition coach and the prying eyes of the entire town. Coming home should feel good, but his family and ex-girlfriend seem like strangers. Caleb and Maggie are outsiders, pigeon-holed as "criminal" and "freak." Then the truth emerges about what really happened the night of the accident and, once again, everything changes. It's a bleak and tortuous journey for Caleb and Maggie, yet they end up finding comfort and strength from a surprising source: each other.